T 0021/09 - Hear, hear! In this decision following opposition the board considers the decision from the OD not to allow additional arguments and experimental evidence as a response to the preliminary opinion just before oral proceedings a violation of the right to be heard under Art 113(1) EPC. It appears that the board was especially unhappy with the fact that the OD failed to address the issue of late-filing and the submission of the evidence it in the minutes of the oral proceedings. The board considers it a fundamental deficiency that there is an absence of reasoning in the decision concerning the experimental evidence filed by the proprietor in support of its line of argument on inventive step, and refers a.o. to decision T 0135/96 of 20 January 1997. I. European patent No. 1 185 695 with the title "Process for high throughput DNA methylation analysis" was granted on European patent application No. 00928969.5, which was filed as international application under the PCT and published as WO 00/70090 (in the following "the application as filed"). The patent was granted with 21 claims. II. Two oppositions were filed based on the grounds that the claimed subject-matter lacks novelty and inventive step (Article 100(a) in conjunction with Articles 54 and 56 EPC), and extends beyond the content of the application as filed (Article 100(c) EPC), and that the invention as claimed is not disclosed in the patent in a manner sufficiently clear and complete for it to be carried out by a person skilled in the art (Article 100(b) EPC). III. Opponent 01 withdrew its opposition during the opposition proceedings. IV. By a decision of an opposition division of the European Patent Office under Articles 101(2),(3)(b) EPC posted on 20 November 2008, the patent was revoked. The opposition division found that the subject-matter of the amended claims according to the main request then on file lacked an inventive step, and that the amendments introduced into the claims according to the second auxiliary request then on file offended against Article 123(2) EPC. A set of claims filed during the oral proceedings as first auxiliary request was not admitted into the proceedings. V. The patent proprietor (appellant) lodged an appeal against the decision of the opposition division. Together with its statement of grounds of appeal, the appellant submitted a new set of amended claims (claims 1 to 16) "as the main request". The appellant requested that the decision under appeal be set aside and the case be remitted to the opposition division on the grounds that its right to be heard had been violated in opposition proceedings. As a subsidiary request, the appellant requested that the decision under appeal be set aside and the patent be maintained on the basis of the set of claims filed with the statement of grounds of appeal. VI. The opponent (respondent) replied to the statement of grounds of appeal and requested that the decision under appeal be upheld, the appellant's request for remittal of the case to the opposition division be denied and the outstanding issues be heard by the board. As a subsidiary request, the respondent requested oral proceedings. VII. By a communication of the board pursuant to Rule 100(2) EPC, the parties were informed that, in spite of being of the provisional opinion that the opposition proceedings suffered from a fundamental procedural deficiency, the board was disinclined to remit the case to the opposition division because the remittal would probably lead to a substantial delay in the procedure. The parties were given the opportunity to submit observations on the issue of remittal. VIII. The appellant replied to the board's communication maintaining its request for remittal. Further, it requested oral proceedings pursuant to Article 116(1) EPC if the board intended to reject the request for remittal, and reimbursement of the appeal fee in accordance with Rule 103(1)a) EPC. IX. In its reply to the communication, the respondent submitted further arguments in support of its view that there had been no procedural violation in opposition proceedings. The respondent agreed with the board's provisional opinion that the case should not be remitted to the opposition division. X. The board summoned the parties to oral proceedings. In a communication under Article 15(1) of the Rules of Procedure of the Boards of Appeal (RPBA) attached to the summons, the board indicated that the issues to be discussed at the oral proceedings were whether or not there had been a fundamental procedural deficiency in opposition proceedings and, if so, whether or not remittal of the case was justified. It was advanced that, if either of these two issues were decided by the board in the negative, further oral proceedings would have to be scheduled for discussion of the outstanding procedural and substantive issues. XI. 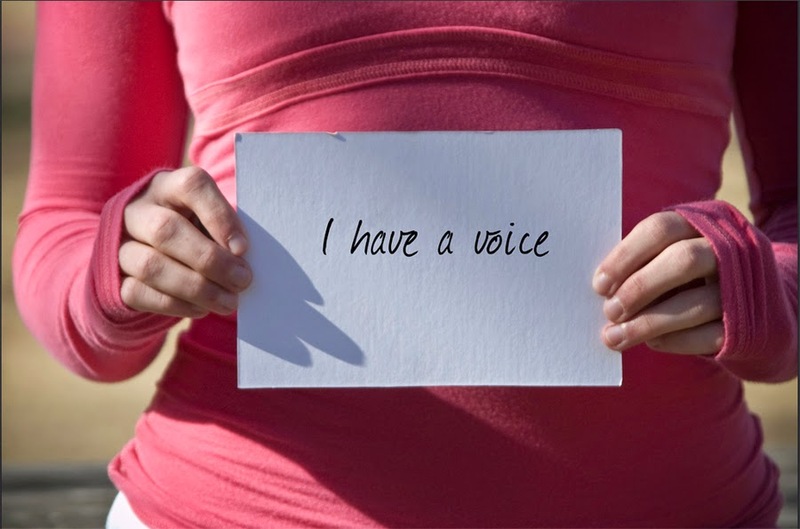 On 7 April 2014, the respondent informed the board that it would not be represented at the oral proceedings. It maintained its request that the case not be remitted to the opposition division, and relied on comments presented in writing. XII. The oral proceedings were cancelled. In opposition proceedings, the patent proprietor's right to the be heard had been violated. The opposition division had failed to consider not only experimental data submitted in preparation of the oral proceedings, but also a key argument with respect to one of the two embodiments claimed. Moreover, the opposition division had refused to admit a set of claims submitted as first auxiliary request during the oral proceedings. The violation of the right to be heard constituted a fundamental procedural deficiency which, pursuant to Article 11 of the Rules of Procedure of the Boards of Appeal, required remittal of the case. If the board were to take a final decision on the case, the appellant would be deprived of the right to a properly reasoned decision by the opposition division in which the arguments and experimental evidence submitted in support of an inventive step were taken into account. The patent proprietor's right to be heard had not been violated in opposition proceedings. The issues of added matter, novelty and inventive step had been considered at length during the course of the oral proceedings before the opposition division. The experimental data submitted by the patent proprietor had not been overlooked. The proprietor had referred to these data during the course of the oral proceedings, and, as was apparent from section 5.4.1 of the decision under appeal, in particular the first full sentence at the top of page 16, and the statements on page 17, the opposition division had taken into account the data, but considered them to be of no assistance in determining inventive step. The decision under appeal was properly reasoned in that it accurately reflected the points that had been made during the course of the oral proceedings. The amendment introduced into the claims of the first auxiliary request did not limit the scope of the claims, raised questions of clarity under Article 84 EPC and did not clearly address the objections of lack of inventive step. For the sake of procedural efficiency, the case should not be remitted back to the opposition division. The patent proprietor had had a proper opportunity to present its case before the opposition division. Any remittal at this stage would only cause unnecessary delay in the proceedings. XVI. The appellant requested that the decision under appeal be set aside and the case be remitted to the opposition division for further prosecution. Additionally, the appellant requested reimbursement of the appeal fee. As a subsidiary request, oral proceedings were requested. XVII. The respondent requested that the appeal be dismissed. Subsidiarily, the respondent requested that the appellant's request for remittal of the case to the opposition division be dismissed. 1. The main issue to be decided is whether or not the right to be heard (Article 113 EPC) of the patent proprietor (the present appellant) was violated in opposition proceedings. The appellant substantiated its allegation of a procedural violation arguing that the opposition division not only failed to consider experimental data and a key argument on inventive step submitted with the reply to the summons to oral proceedings, but also refused to admit into the proceedings the set of amended claims filed during the oral proceedings as first auxiliary request (see section 6.3 of the decision under appeal). 2. As regards the experimental data, the appellant referred to the Annexes 9, 8a, 8b and 7c. These Annexes were submitted by the patent proprietor as a reaction to the preliminary opinion of the opposition division on inventive step expressed in the communication dated 15 April 2008 attached to the summons to oral proceedings. In the communication, the opposition division held that none of the technical effects on which the patent proprietor relied in respect of the method of claim 6 as granted (application B) was "... supported by any corresponding experimental data which thus, pursuant established case law (cf. Case Law 5**(th) Ed. 2006, I.D.4.2), cannot be taken into consideration for the assessment of inventive step" (see paragraph bridging pages 18 and 19 of the communication). 3. According to the appellant, Annex 9 ("Evidence showing inventiveness of Application B") showed the technical performance and the biological and clinical relevance of the claimed method by reference to independent scientific publications of third parties and publications of the patent proprietor, as well as by experimental data (see sections 1.3 and 2). Prima facie, Annex 9 has evidential value for the ability of the method to discriminate between neighbouring methylation levels, in particular between low methylation levels (see section 1.3.3 of Annex 9). Additionally, Annex 9 shows that, applying the method defined as "application B", small amounts of DNA can be detected independently from DNA concentration (see section 1.3.1) with good repeatability (see section 1.3.2). 4. The evidence in Annexes 7c, 8a and 8b relates to application D. Annex 7c presents the results of experiments aimed at the detection of methylation patterns, and Annexes 8a and 8b show the results of comparative experiments in which the claimed method is compared to methods known in the prior art, in particular the Sunrise**(©) (Annex 8a) and the SybrGreen**(TM) technologies (Annex 8b). Prima facie, the experiments show a higher specificity of the claimed method. 5. Annexes 9, 8a, 8b and 7c are not mentioned in the decision under appeal. Nor are the specific experimental data provided therein discussed in the decision in connection with the issue of inventive step. Contrary to the respondent's view, the first full sentence on the top of page 16 of the decision under appeal does not relate to the experimental evidence in the Annexes in question, but only to that in Annex I, which had been filed by the proprietor on 21 November 2007 in response to the notices of opposition. As regards the statements on page 17 of the decision ("The other two technical effects are not supported by any corresponding experimental data ..."), it is not clear to the board whether the opposition division, when arriving at this finding, disregarded the experimental evidence in the Annexes in question, in particular Annex 9, or whether it considered it, but found it not to support the alleged technical effects for reasons not specified in the decision. 6. The minutes of the oral proceedings before the opposition division dated 20 November 2008 do not reflect any discussion on the experimental evidence submitted by the patent proprietor in preparation of the oral proceedings. It is, however, stated in section 3 of the minutes that documents (42) to (75) - which were filed by the patent proprietor with the same submission as the Annexes - were considered to be late-filed, and that the discussion on whether or not they were admitted into the proceedings was postponed. Whether or not the same applied to the Annexes in question, which are not specifically mentioned in this passage, is unclear. In any case it is noted that a discussion on the admission of late-filed evidence - if it took place - has not been recorded in the minutes of the oral proceedings, and that documents (42) to (75) - like the Annexes in question - are not mentioned in the reasons given by the opposition division for its findings on inventive step. 7. Under these circumstances, two possibilities arise: either the opposition division disregarded the experimental evidence in the Annexes in question as late-filed, or it may have considered it, but failed to give proper reasons in its decision as to why this evidence does not support the technical effects on which the patent proprietor relied in its line of argument on inventive step. In the first case, not only the patent proprietor has not been heard on the issue of admission of the evidence into the opposition proceedings, but, more importantly, the decision is absolutely silent about it. In the second case, the decision under appeal suffers from a severe deficiency in the reasons given by the opposition division for the adverse findings on inventive step. 8. In either case, the decision cannot be regarded as being in conformity with Rule 111(2) EPC. Since the opposition division refused the main request for lack of inventive step, the absence of reasoning in the decision concerning the experimental evidence filed by the patent proprietor in support of its line of argument on inventive step is, in accordance with the jurisprudence of the Boards of Appeal (see, inter alia, decision T 135/96 of 20 January 1997), a fundamental deficiency. 9. The question whether or not the patent proprietor expressly requested admission of the experimental evidence during the oral proceedings is not regarded by the board as a circumstance that would mitigate the severity of the violation. Since the evidence was submitted by the patent proprietor in preparation of the oral proceedings and in clear response to the opposition division's communication, it had to be assumed that the proprietor's intention was to have the experimental evidence admitted into the proceedings and considered by the opposition division. 10. Summarising the above, the board concludes that the opposition division's failure to either consider the experimental evidence brought forward by the patent proprietor, or give reasons as to why it was not admitted into the proceedings, or did not support the purported effects, violated the patent proprietor's right to be heard. Since there is a causal link between the procedural deficiency and the final adverse decision on inventive step, the procedural defect is decisive and hence fundamental. 11. In view of these findings, there is no need to consider the appellant's further allegation of a procedural violation based on the non-admission of the first auxiliary request filed during the oral proceedings. 12. According to Article 11 of the Rules of Procedure of the Boards of Appeal, a board shall remit a case to the department of first instance if fundamental deficiencies are apparent in the first instance proceedings, unless special reasons present themselves for doing otherwise. 13. In the present case, the respondent argued that remittal to the opposition division would entail a delay in reaching a final decision. 14. The board shares the view of the competent board in decision T 48/00 of 12 June 2002 (see section 11 of the Reasons) that a delay of the final decision caused by the remittal is an insufficient reason not to order remittal. The fundamental right of an appellant to a fair hearing before the opposition division must overweigh any advantage that might accrue to the respondent by having the board of appeal deal fully with the case rather than remit it (see decision T 914/98 of 22 September 2000; section 3 of the Reasons). 15. For these reasons, the board decides to remit the case to the opposition division for further prosecution. This decision has European Case Law Identifier: ECLI:EP:BA:2014:T002109.20141113. The whole decision can be found here. The file wrapper can be found here. Photo obtained via Flickr. The Examining Division considered the main request to lack novelty. The Board agreed with the applicant that the amended main request filed with the grounds of appeal was novel, and then continued to assess inventive step. As in the T 109/07, the problem to be solved is the provision of an alternative in view of lack of evidence supporting other alleged advantages (In T 109/07, due to lack of evidence on file showing a particular improvement between the examples of the invention and examples according to the prior art, "the problem to be solved was to be reformulated in less ambitious terms" [r.4.1.3] and had to be seen "in the provision of an alternative" [r.4.1.4]). In the current case, the Board considered the invention to be inventive after having carefully assessed not only the prior art teachings but in particular also whether the skilled person had an incentive to use a prior art solution. VI. In reply to the Board's communication, the Appellant filed with letter of 6 September 2010 an amended main request and an amended auxiliary request 1 replacing the main request and auxiliary request 1 previously on file. The Appellant also filed an amended auxiliary request 2 replacing the previous auxiliary request 4. VII. At the beginning of the oral proceedings, being asked by the Board to clarify its requests, the Appellant confirmed the maintenance of the amended main request as well as the amended auxiliary requests 1 and 2 filed with letter of 6 September 2010; all other requests were withdrawn. the method further comprising applying the recycled composition to poultry during processing." The subject-matter of claim 1 of the main request is novel over the disclosure of document (2), as the claimed method is not clearly and unambiguously disclosed therein. There is no unambiguous disclosure for the skilled person that the term "recycling" as used in document (2) should be understood as being equivalent to the steps of recovering a substance and adding something to this substance to obtain a recycled substance, which can then be reused. Furthermore, when assessing novelty it is not permissible to piece together different parts of a prior art document, which are present in completely separate entities, in order to artificially create a particular embodiment, which would destroy novelty. Document (3) should be considered as the closest state of the art. In view of this document, the technical problem to be solved was the provision of a process for the reduction of microbial population during poultry processing which is highly effective in reducing the microbial population in the product, is cost-effective and uses less critical compounds. The proposed solution, namely recycling the wash waters after treatment with peroxycarboxylic acid was not obvious for the skilled person from document (3) alone or in combination with either document (1) or (2). Document (1) is concerned with the sanitizing of meat products, mainly beef, using fresh water. Recycling is not mentioned and there is no indication that peroxycarboxylic acid would be a suitable replacement for the strong oxidants otherwise used in the prior art for the treatment of poultry wash waters. In fact, such an indication cannot be found in any of the available pieces of prior art. Document (2) is merely concerned with less contaminated chiller water and does not contain a clear indication for reapplying the water to the poultry. IX. The Appellant requested that the decision under appeal be set aside and that a patent be granted on the basis of the main request or auxiliary requests 1 and 2, filed with letter dated 6 September 2010, all previous requests being withdrawn. X. At the end of the oral proceedings the decision under appeal was announced. 3.1 Claim 1 of the main request is directed to a method of reducing microbial contamination on poultry during processing comprising the steps of applying a mixed peroxycarboxylic acid composition, recovering the applied composition, adding to the recovered composition a peroxycarboxylic acid mixture to yield a recycled antimicrobial composition and applying the recycled composition to poultry during processing. 3.2 Document (2), which the Examining Division considered as anticipating the subject-matter of claim 1 of the main request before it, discloses a method for preventing microbial growth in aqueous streams used for transport or processing food products comprising the step of applying a peroxycarboxylic acid or a mixture of peroxycarboxylic acids to the aqueous stream. In particular document (2) discloses an automated method of controlling microbial growth in such streams, whereby the amount of the peroxycarboxylic acid(s) in the stream is controlled by maintaining the aqueous stream at an oxidation-reduction-potential (ORP) between 280 to 460 mv with respect to an Ag/AgCl reference electrode (column 3, line 50 to column 4, line 48, claims). Document (2) is mostly concerned with the processing of vegetables. However, in example 8 of document (2) samples of chiller water (chilled aqueous process stream in which the poultry were placed for at least 30 minutes) from a poultry factory were obtained and treated for testing purposes with dosings of a) peracetic acid, b) a combination of peracetic acid and peroctanoic acid, c) sodium hypochlorite and d) chlorine dioxide. In the Board's understanding the testing in example 8 of document (2) aims at demonstrating the suitability of peroxycarboxylic acid(s) as an antimicrobial agent in aqueous poultry chiller streams and thus the suitability of the peroxycarboxylic acid(s) as an antimicrobial agent in the first step of the presently claimed method, namely the application of a mixed peroxycarboxylic acid composition to the poultry during processing in the chiller. This example does not describe the steps of recovering the applied mixed peroxycarboxylic acid antimicrobial composition, the addition of peroxycarboxylic acid to yield a recycled mixed peroxycarboxylic acid antimicrobial composition and the further step of applying the recycled composition to the poultry. Thus, example 8 of document (2) alone does not anticipate the subject-matter of claim 1 of the main request. This has also been acknowledged by the Examining Division in the contested decision (page 4, second paragraph). In order to conclude lack of novelty the Examining Division combined example 8 of document (2) with other parts of the description, namely the disclosure in column 3, line 50 to column 4, line 48 and column 1 (erroneously called column 2 in the contested decision), line 54 to column 2, line 7. 3.4 The passage in columns 3 and 4 of document (2) referred to by the Examining Division discloses the prevention of microbial growth in aqueous streams used for transporting or processing food comprising the application of peroxycarboxylic acid(s) to the aqueous streams. In a more preferred embodiment the use of a dispensing and controlling system is disclosed which allows for a continuous addition of peroxycarboxylic acid controlled by maintaining a certain ORP (see also point 3.2 above). The purpose of such an automated system is to maintain a steady state of peroxycarboxylic acid during processing or transportation. This passage does not mention any recovery, recycling or reapplication step. Neither are such recovery, recycling and reapplication steps an inevitable part of the automated system as can be seen in fig. 6 of document (2) representing the basic set up of the automated system. The water can merely flow through the flume system (or a poultry chiller), while the level of peroxycarboxylic acid in the system is maintained within the required limits. The paragraph bridging columns 1 and 2 of document (2) is part of the section "background of the invention" and explains in general the problems which might arise if process waters are reused. It mentions that process water resulting from cleaning, cooling, heating, cooking or other processing steps can be used once and discarded, or a major part can be reused in which case it is subject to contamination with organic matter and microbes. Vegetable washers, vegetable cooling baths, poultry chillers and meat washers are mentioned as examples of process waters. (c) example 8, demonstrating the suitability of peroxycarboxylic acid as antimicrobial agent in poultry chillers. Such a combination is the result of an arbitrary "mosaicing" of features found in different parts of document (2), which has been made in the knowledge of the invention and with the purpose of reconstructing the claimed method. 3.5 Hence, the Board concludes that there is no clear and unambiguous disclosure in document (2), which inevitably leads the skilled person to the presently claimed method. Accordingly, claim 1 of the main request is novel within the meaning of Article 54 EPC. 4.1 The patent in suit is directed to a method of reducing microbial growth on poultry during processing whereby a mixed peroxycarboxylic acid composition is applied to the poultry during processing, the applied composition is recovered, treated with a mixture of peroxycarboxylic acid and the so obtained recycled composition is reapplied to the poultry. 4.2 A similar method already belongs to the state of the art. Document (3), which has been introduced into the procedure during the appeal proceedings, describes a method of processing poultry with minimal microbial growth (document (3), column 1, lines 5-11). In this method ozone is applied to poultry as antimicrobial agent during processing. The process water of the different process steps is collected, treated with ozone and, after further treatment with a biofilter, UV-light and chlorine, recycled into the process and reapplied to the poultry (document (3), claims; figure 5; column 15, lines 9-16). 4.3 Document (2), which had been considered as the closest prior art by the Examining Division, is concerned with the inhibition of microbial growth, for example in poultry chillers, by keeping the antimicrobial agent at a constant level during processing or transportation of the food product. It does however not disclose the steps of recovering the applied composition, treating the recovered composition with peroxycarboxylic acid and reapplying it to the poultry. Thus, although both documents (2) and (3) aim at the same objective as the claimed invention, namely the reduction of microbial growth in food processing, document (2) has less relevant technical features in common with the claimed invention than document (3). Thus, the Board, in accordance with the Appellant, considers that document (3) represents the closest prior art and hence takes it as the starting point for assessing inventive step. 4.4 In view of this state of the art, the problem to be solved by the present invention was the provision of an alternative method for reducing microbial population on poultry during processing. 4.5 The Appellant argued during oral proceedings that the claimed method was more effective against microbial growth and avoided cross contamination. It was also more economic in that wash waters are reused and the recycling step is simpler, thereby lowering the production costs. Finally it was less critical for the outward appearance and later consumption of the treated poultry. However, in the absence of any evidence in support of its assertions, the Appellant's arguments are not considered convincing. 4.5.1 Concerning the alleged improved efficacy, the data in column 9, lines 60-65 of document (3) cannot be directly compared with the data according to the test report provided by the Appellant as the details in the recovering, recycling and reapplication steps were not exactly the same. For example, according to document (3) additional cooling during poultry processing is provided to further reduce microbial growth. Furthermore, it is not apparent whether or not the amount of antimicrobial agent is the same. Concerning the issue of cross-contamination, it is to be remarked that the method of document (3) also aims at avoiding cross contamination (column 7, lines 51-56, column 14, lines 3-6 and 45-49) and the Appellant has not provided any evidence that the presently claimed method has any advantages over the prior art in this respect. 4.5.2 With regard to lowering the production costs by reusing the wash water there can be no difference between the claimed method and the prior art method, since document (3) also reuses and reapplies the wash waters thereby lowering the production costs (document (3) column 15, lines 13-16). 4.5.4 Evidence in support of the alleged advantages of the claimed method over document (3) with regard to the appearance or later consumption of the processed poultry has not been provided. 4.6 As the solution to the underlying technical problem as defined in point 4.4 above the patent application according to the main request proposes the use of a mixed peroxycarboxylic acid composition as antimicrobial agent during poultry processing and in the recycling step. 4.7 In view of the test report (document (6)) the Board is satisfied that the problem is solved. 4.8 It then remains to be decided whether or not the proposed solution is obvious in view of the cited prior art. 4.8.1 The highly industrialised processing of poultry from the initial washing of the birds via scalding, dress rinsing, inside-outside bird washing after evisceration, sanitizing rinsing, chilling to packaging requires large quantities of water. Recycling these process waters in order to reduce cost has therefore become a necessity for the poultry processing industry. However, since the process waters inevitably become contaminated with organic matter, like blood, tissue, grease etc., which provide an ideal ground for the growth of bacteria, the poultry processing industry in order to avoid the shut-down of production due to cross contamination and in order to guarantee that the poultry can be safely consumed is forced to make sure that the recycled water is safe to use. Thus, the process waters, before they can be recycled, are usually purified by treatment with strong oxidants, like ozone, as taught in the closest prior art, document (3). Other strong oxidants like chlorine, potassium permanganate or chlorine dioxide, optionally in the presence of strong acids, were also described as suitable antimicrobials in the treatment of process waters resulting from poultry processing plants before their reuse (document (4), column 3, lines 26-31). Neither document (3) nor document (4) mention peroxycarboxylic acid as being suitable for this purpose. Thus, document (3) can neither alone nor in combination with document (4) render the claimed subject-matter obvious. 4.8.2 Document (1), which describes the use of antimicrobial compositions comprising peroxycarboxylic acids for the treatment of meat products, including poultry, is not concerned with the recycling and reuse of process waters. This fact has also been acknowledged in the contested decision and the document has not been further considered. Thus, document (1) cannot provide the skilled person with an incentive to replace ozone as the antimicrobial agent in the treatment of contaminated process waters by peroxycarboxylic acid mixtures. 4.8.3 The same conclusion can be drawn for document (2). As explained in point 3.2 above, example 8 of document (2) is merely a test example to demonstrate the suitability of peroxycarboxylic acid(s) as antimicrobial agent during poultry chilling. In fact, this disclosure is considered to be equivalent to the teaching of document (1). Accordingly, it can no more than document (1) provide the skilled person with an incentive to use peroxycarboxylic acid(s) instead of ozone as antimicrobial agent in the treatment of contaminated process waters. 4.9 For the reasons set out above the Board concludes that the subject-matter of the claims of the main request involves an inventive step within the meaning of Article 56 EPC. 4.10 In view of the outcome of the decision there is no need to consider the auxiliary requests 1 and 2. 2. The case is remitted to the Department of first instance with the order to grant a patent on the basis of the Main request submitted with letter dated 6 September 2010 and the description yet to be adapted. This decision has European Case Law Identifier: ECLI:EP:BA:2010:T198807.20101008. The whole decision can be found here (pdf). The file wrapper can be found here. 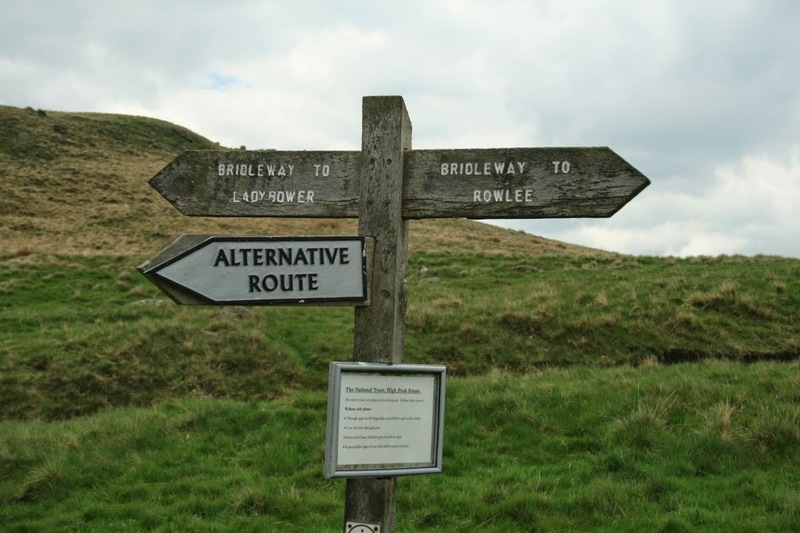 Photo "Alternative Route (apparently)" by Mark Sykes obtained via Flickr. 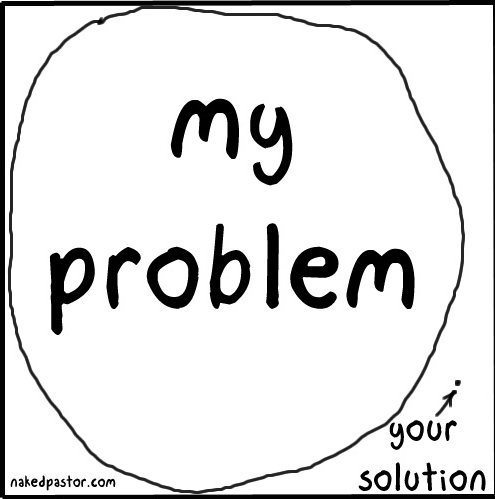 The patent seems to cover an obvious embodiment according to the Problem-solution approach. The proprietor finds this unfair, since the prior art does not teach his broad idea and finds it inappropriate to use the problem-solution approach. The Board does not agree. comprising a lead-free electrodeposition bath containing at least one calcium compound selected from calcium acetate, calcium chloride, calcium formate, calcium nitrate, calcium oxalate, calcium molybdate, calcium titanate, calcium fluorosilicate and calcium carbonate present in an amount from about 10 parts per million to about 10,000 parts per million of total calcium and not more than about 200 parts per million soluble calcium, based on electrodeposition bath weight." IV. The opposition division rejected the patentee's main request for amendments to the description because they did not meet the requirements of Rule 88 EPC and Article 123(2) EPC. However, the claims of the auxiliary request, which were identical with the claims as granted, were found to meet the requirements of sufficiency of disclosure, novelty and inventive step. In particular, the disclosure of the zinc/calcium/molybdate compound Moly-White 212 in E1 was not considered to be an unambiguous disclosure of calcium molybdate and/or calcium carbonate as required by the claim language. The opposition division also held that, starting from either document E6 or document E1 as closest prior art, there was no incentive in the prior art to use calcium compounds in the specified amounts in order to obtain electrodeposition baths having the balanced improved properties demonstrated by the opposed patent. VI. The patentee's (respondent's) observations were received under cover of a letter dated 5 September 2007. Also submitted were claims 1 to 12 as a first auxiliary request. Further submissions of the appellant were received with letters dated 4 July 2008 and 28 November 2008. VII. Under cover of letter dated 22 April 2009, the respondent filed an amended set of claims as a first auxiliary request. Claim 1 of the said auxiliary request differs from claim 1 of the main request in that the term "calcium molybdate" is deleted from the claim. The invention related to the effect of insoluble and soluble calcium on corrosion inhibition and appearance. The problem consisted in providing an electrodeposition bath that resulted in an improved balance of appearance and corrosion resistance. The prior art exclusively dealt with the effect of the anion, for example molybdate and chromate, on corrosion inhibition. Calcium was only disclosed in the prior art as a suitable counter-ion. It was not suggested that calcium in itself had a corrosion-inhibiting effect. Furthermore, the claimed limits of total and soluble calcium required for obtaining a balance of corrosion-inhibiting effect and appearance were not derivable from the prior art. The appellant requested that the decision under appeal be set aside and that the European patent be revoked. The respondent requested that the appeal be dismissed, or, in the alternative, that the decision under appeal be set aside and the patent be maintained on the basis of the claims 1 to 12 filed with letter dated 22 April 2009 as a first auxiliary request. 3.1 The appellant cited document E1, in particular example 3 thereof, as novelty destroying for the subject matter of the respective claims 1 of the main request and the auxiliary request. The board, having examined the remaining prior art documents, concludes that claim 1 of the main request satisfies the requirements of Article 54 EPC. The same applies to process claim 9 and product-by-process claim 12, which refer directly or indirectly back to claim 1, and to the dependent claims 2 to 9, 10 and 11. 3.3 Claims 1 to 12 of the (first) auxiliary request are narrower in scope than the respective claims of the main request and are therefore novel for the same reasons as those given in respect of the main request. 4.1.1 The opposed patent concerns electrodeposition baths for the coating of metallic substrates. The baths comprise a resinous phase, which consists of an electrodepositable resin and a curing agent, the resinous phase being dispersed in an aqueous medium, and a corrosion inhibitor selected from at least one calcium compound selected from calcium acetate, calcium chloride, calcium formate, calcium nitrate, calcium oxalate, calcium titanate, calcium fluorosilicate and calcium carbonate, present in amounts as stated in the claim. 4.1.2 The board considers that the most relevant prior art is to be found in documents dealing with electrophoretic coating compositions containing similar corrosion inhibitors, for instance E6. Document E6 discloses an electrophoretic coating composition comprising an aqueous medium having dispersed therein a polycarboxylic acid binder resin and a sparingly soluble alkaline earth metal molybdate, preferably calcium molybdate. E6 reports that the alkaline earth metal molybdate has a rust-inhibiting effect equally excellent as chromic acid salts. According to example 3, calcium molybdate is employed in an amount of 1.2 parts per 100 parts of aqueous dispersion. See E6, abstract, column 1, lines 8 to 11; column 2, lines 2 to 6; column 2, lines 26 to 43; example 3; columns 5 and 6, Table 1; and claim 1. The resin component according to E6 is self-hardening. 4.1.3 The next step in assessing inventive step is to define the problem underlying the patent in suit in the light of E6. According to the patent in suit an objective of the invention was to provide lead-free electrodeposition baths which provide improved corrosion resistance of the electrocoated metal substrates, especially untreated steel (page 2, paragraph ). However, since there is no evidence on file showing an improvement in corrosion resistance between the examples of the invention and examples according to E6, the problem to be solved has to be reformulated in less ambitious terms. 4.1.4 The technical problem underlying the patent in suit in the light of E6 may thus be seen in the provision of an alternative electrodeposition bath. (b) a separate curing agent having functional groups reactive with the active hydrogen groups of (a). 4.1.6 The next step is to verify whether the problem has actually been solved. Invention examples 1 to 5 of the patent in suit illustrate electrodeposition bath compositions containing soluble calcium compounds, whereas those of invention examples 9 and 10 to 15 contain insoluble calcium compounds. According to the invention, certain calcium compounds selected from the list recited in claim 1 and present in an amount indicated in the claim calculated as total calcium and soluble calcium and contained in an electrodeposition bath composition exhibit a corrosion-inhibiting effect. The opposed patent contains undisputed experimental evidence that the calcium compounds effectively reduce corrosion of untreated cold rolled steel panels coated with the claimed electrodeposition bath composition, measured as a reduced "scribe creep" after a salt spray test carried out in accordance with ASTM B117. At the same time, the visual appearance of the coated panels according to the invention, evaluated in terms of surface roughness and pinholing, was rated from the upper range of from 7 to 10 (10 = no defects; 0 = rough and pinholed). It was thus comparable to results obtainable with conventional electrodeposition bath compositions containing for instance the conventional corrosion inhibitor calcium molybdate (see Tables 1, 2 and 3). In view of this evidence, the board is satisfied that the technical problem is successfully solved over the whole range claimed. 4.1.7 It remains to be decided whether the proposed technical solution is obvious in view of the prior art. The electrophoretic resins according to E6 comprise a resin component which is self-hardening. The question arises whether it was obvious to replace a self-hardening resin by a resin hardening with a curing agent (b). Electrodeposition resins comprising a separate curing agent, as opposed to self-hardening resins, are per se known in the pertinent art (see E1, E8). The respondent has admitted during oral proceedings that it is not per se inventive to replace a self-hardening resin by a resin hardening by addition of a curing agent. Further, the use of calcium molybdate as corrosion inhibitor with a polycarboxylic acid binder was known from E6 (example 3, claim 1). There is no evidence in the patent in suit that the calcium molybdate corrosion inhibitor interacts in some specific and surprising way with electrophoretic resins which contain a separate curing agent, as opposed to self-hardening resins. 4.1.8 The respondent argued that the invention resided in the teaching that calcium (rather than calcium molybdate) was corrosion-inhibiting. This teaching was not suggested by the prior art. Therefore, the well-known problem-solution approach for assessing inventive step had reached its limits and should not be applied in this particular case, or should at least be applied differently, in order to do justice to the achievements of the invention. The board cannot accept this argument. The respondent's reasoning implies that following the problem-solution approach one would disregard a positive aspect of the invention counting in favour of the presence of an inventive step. However, neither the determining of the closest prior art nor the definition of the problem underlying the patent in suit in the light of E6 eliminate any aspects of the invention regarding soluble and insoluble calcium compounds or calcium pigments. When assessing inventive step, document E6 cannot be ignored, as it discloses the same calcium molybdate corrosion inhibitor as the patent in suit. Even if the gist of the invention was in the discovery of the corrosion-protective activity of calcium in electrodeposition baths, the claims of the main request encompass the embodiment of an electrodeposition bath which comprises a conventional resin composition and the well-known corrosion inhibitor "calcium molybdate" in a conventional amount of from 10 to 10 000 ppm. It is this particular embodiment which renders the claimed subject matter obvious, for the reasons discussed under point 4.1.7. The board also sees no peculiarity in the present case to justify not relying on the well-tried and proven problem-solution approach for assessing inventive step. 4.1.9 Therefore, the subject matter of claim 1 of the main request lacks an inventive step and the main request must be rejected. 4.2.1 Claim 1 of the auxiliary request differs from claim 1 of the main request in that calcium molybdate no longer appears in the list of calcium compounds. 4.2.2 The reasoning under points 4.1.1. to 4.1.5 (closest prior art, technical problem, technical solution) applies mutatis mutandis to the subject matter of claim 1 of the auxiliary request. 4.2.3 Hence, as a solution to the technical problem (4.1.4), the patent in suit proposes an electrodeposition bath according to claim 1 of the auxiliary request, characterised in that it comprises a resinous phase which contains (a) an active hydrogen group-containing ionic electrodepositable resin, and (b) a separate curing agent having functional groups reactive with the active hydrogen groups of (a), and a calcium compound selected from the list of claim 1. 4.2.4 It remains to be decided whether the proposed solution is obvious having regard to the prior art. The corrosion-protective effect of calcium molybdate, known from documents E6 and E1 and exploited in the commercial product Moly-White 212, has generally been attributed in the prior art to the molybdate (MO3) - moiety, not to the calcium counter-ion. This may be immediately seen from the facts that document E6 advocates the use of any sparingly soluble alkaline earth molybdate, in particular of strontium and calcium molybdate, and that no particular preference is given to calcium over strontium as a counter-ion. Document E9 discloses poly(arylenesulfide) (PAS) resin compositions showing little tendency to cause metal corrosion and comprising a corrosion inhibitor selected from molybdenum, oxoacids of Mo, sodium, potassium and strontium salts of ortho- and isopolymolybdic acid, basic calcium molybdates and others (see claim 1). Preferred corrosion inhibitors are basic zinc molybdate, basic zinc calcium molybdate and basic zinc molybdate phosphate (claim 3; example 6, Table 7). The skilled person derives from E9 that apparently the passivating activity is borne by the molybdenum containing moiety and not by the calcium counter-ion. There is also no indication in the art that any other calcium compound not containing the molybdate moiety could be useful as a corrosion-inhibitor in an electrodeposition bath. Document E7, page 10, line 23 to page 11, line 30, discloses, as examples of passivators in anticorrosive paint compositions, molybdates, vanadates, chromates, stannates, manganates, titanates, phosphomolybdates and phosphovanadates, preferably in the form of salts of a divalent metal, such as zinc, calcium, manganese, magnesium, barium and strontium. Here, too, the passivating activity is attributed to the anion, not to the cation or in particular to the calcium ion. In summary, there is no suggestion in the prior art that the calcium compounds listed in claim 1 of the auxiliary request exhibit a corrosion-protective effect in an electrodeposition bath. 4.2.6 For these reasons, the subject matter of claim 1 of the auxiliary request involves an inventive step. The same applies to independent method claim 9 which refers back to claim 1 and to independent claim 12, referring back to claim 9. Dependent claims 2 to 8, 10 and 11 define particular embodiments of the inventive compositions and methods and are therefore also patentable. The requirements of Article 56 EPC are thus met for the claims of the auxiliary request. 2. The case is remitted to the department of first instance with the order to maintain the patent in amended form on the basis of claims 1 to 12 filed with letter dated 22 April 2009 as a first auxiliary request, and a description to be adapted. This decision has European Case Law Identifier ECLI:EP:BA:2010:T010907.20100715.The decision can be found here The file wrapper can be found here. Photo by David Hayward obtained via Flickr (unchanged). In the present case, the Examining Division relied on a document D2 to argue lack of inventive step. 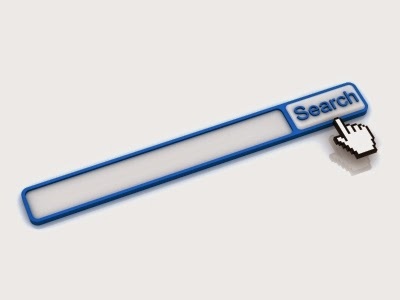 To demonstrate that D2 was publicly available before the priority date, the Examining Division referred to a screenshot of search results returned by Google in response to a "quick search on Google cached pages" showing a particular date. During first-instance proceedings as well as during appeal proceedings, the Appellant provided various counter-arguments, arguing that the date reported by Google is incorrect. In the decision, the Board finds that the Examining Division had committed a substantial procedural violation for not commenting on most of these arguments during first-instance proceedings. The Board then comments on the Applicant's arguments. Of particular interest are reasons 5.1.5 and 5.1.6, discussing the suitability of dates reported by Google as evidence of the publication date of a document, as well as where the burden of proof should lie with respect to such date indications. 3.1 The Examining Division found that the subject-matter of all claims lacked an inventive step in view of document D2. A prerequisite for this finding is that document D2 forms part of the state of the art pursuant to Article 54(2) EPC, i.e. that it was made available to the public before the priority date of the present application or, if the claimed right to priority is not valid, before the filing date. It is evident from the contested decision that the Examining Division was of the view that document D2 was published before the priority date, so that it was not necessary to investigate whether the claimed priority right was actually valid. Although document D2 bears the date February 1999, it is apparent from the document itself that this date is meant to refer to an ISO/IEC JTC1/SC29/WG11 MPEG99 meeting that took place in February 1999 in Lancaster, UK, to which document D2 appears to have been submitted. Without further justification, this date can therefore not be taken as the date of public availability within the meaning of Article 54(2) EPC. In the contested decision the Examining Division indeed did not rely solely on the date printed on the document, but presented two lines of reasoning explaining why it considered that document D2 had been made available to the public before the priority date of the application. 3.2 According to the first line of reasoning, document D2 was made available to the public on or before 15 February 1999 through its publication on a website at the URL from which it had been retrieved. As evidence for this assertion, the Examining Division referred to document D7, which was a screenshot of search results returned by Google (in German) in response to a "quick search on Google cached pages" and which showed the URL to document D2 together with a date indication "15 Febr. 1999". According to the Examining Division, this showed that the URL to document D2 had been "snapshot" by Google on 15 February 1999. - The URL provided by the Examining Division included the "CiteSeerX" domain, which had not been used until 2008, as shown by http://en.wikipedia.org/wiki/Citeseer#CiteSeerX. The URL had therefore not been available in 1999. There was no evidence of the existence of a URL to document D2 before the priority date. - Even if a URL had existed, at the priority date it would not have been "discoverable" as required by decision T 1553/06 of 12 March 2012, as Google did not start indexing PDF documents until early 2001. - The "15 Febr. 1999" date shown by Google was not necessarily the date of indexing. Document D10 showed an example of Google displaying search hits with dates as early as 15 September 1977. These could not represent the date that Google had indexed the documents because Google was not created until 1996. Document D11, which was the document dated by Google as "Sep 15, 1977", merely contained the phrase "September 1977". It seemed that Google had extracted this phrase, had added the specific date of the 15th, and had dated it as "Sep 15, 1977" for listing purposes. - Inspection of the document properties of the PDF document downloaded from the URL provided by the examiner revealed that its creation date was 25 July 1999. It therefore seemed that no such PDF document existed in February 1999. These arguments were already presented in the letter of 20 February 2013 filed during the first-instance proceedings in response to the summons to oral proceedings. 3.4 In response to the argument that the domain "CiteSeerX" had not been used until 2008, the Examining Division explained that the screenshot of document D7 showed that document D2 had been available in CiteSeer as of 15 February 1999, and that the link on the same screenshot now showed CiteSeerX as the domain, because all queries to CiteSeer had been redirected to CiteSeerX after its creation. 3.5 The Examining Division did not comment on the other arguments. Instead, it presented a second line of reasoning based on documents D8 and D9. 4.1 The right to be heard under Article 113(1) EPC encompasses the right of a party to have its comments considered in the written decision (see decision T 763/04 of 22 June 2007, reasons 4.3 and 4.4). Although a decision does not have to address each and every argument of a party in detail, it must comment on the crucial points of dispute in order to give the losing party a fair idea of why its submissions were not considered convincing (cf. decision T 1557/07 of 9 July 2008, reasons 2.6). 4.2 In the present case, the Examining Division did not comment on most of the appellants' arguments in respect of the public availability of document D2. In particular, since the Examining Division in its first line of reasoning relied on a date indication shown by the Google search engine, it should have addressed the appellants' argument that these date indications were generated by simply extracting a date from the text of a document and were therefore of no evidentiary value in respect of the date on which documents had been available on the Internet. 4.3 In the Board's view, the failure to comment on most of the appellants' arguments in respect of what was evidently a crucial point of dispute constitutes an infringement of the right to be heard and hence a substantial procedural violation. 5.1 The Examining Division's first line of reasoning based on the screenshot shown in document D7 (see point 3.23.2 above) has been convincingly refuted. 5.1.1 The Examining Division refers to document D7 as displaying the results of a search on "Google cached pages". This terminology is at least confusing in that it suggests that the search was performed among web pages stored in Google's web cache. This is not the case. Document D7 shows the result, filtered by a data range, of a regular Google search for Internet documents with part of the title of document D2 used as search criterion. The single result returned appears to point to document D2 at the same URL from which it was retrieved, presumably by the Examining Division, on 5 May 2011. This does not mean that document D2 was cached (or "snapshot") by Google, but that Google at some point in time has found and indexed document D2 at this URL. 5.1.2 The screenshot shown in document D7 displays this search result in connection with the date indication "15 Febr. 1999". Although the terminology used by the Examining Division is rather vague and imprecise, it appears to the Board that the Examining Division made the assumption that 15 February 1999 was the date that Google found (and/or indexed) document D2. If this assumption were correct, then document D7 would indeed give a strong indication that document D2 was published before the priority date of the present application. 5.1.3 In order to challenge this assumption, the appellants submitted documents D10 and D11. Document D10 is a print-out of the results of a Google search on the phrase "information superhighway" filtered by a date range ending at 1 December 1992. One of the search results points to document D11. The associated date indication reads "Sep 15, 1977". Since 1977 is long before the Web, let alone Google's search engine, came into existence, this obviously cannot be the date on which Google found document D11. "It all started 30 years ago, in September 1977, one year after Viktor Belenko's defection from the Soviet Union to Japan in his MiG-25 Foxbat jet fighter." Apparently, Google dated document D11 by scanning its text for a date. When it found "September 1977", it completed the date by adding the 15th to it. 5.1.4 The appellants' challenge is evidently successful. The date shown in document D10 is clearly not indicative of the date on which document D11 was found or indexed by Google. The same applies to 15 February 1999 as shown in document D7, which in all likelihood was derived from document D2 in the same simple way as the date in the example of documents D10 and D11. 5.1.5 What this means is that a date reported by Google is inherently unsuitable to serve as evidence of the publication date of a document. Such a date, extracted from the text of the document, adds nothing to what is already shown by the document itself. 5.1.6 The Board notes that it should not have been necessary for the appellants to investigate the relevance of Google's date indications. It is the task of the examiner to make an objective assessment of what a particular date indication is intended to represent and how reliable it is, and to make further investigations if necessary. If it is not understood how a particular date reported by a search engine was generated, it cannot be used as evidence of a publication date. 5.1.7 The appellants' observations that the "CiteSeerX" domain from which document D2 was retrieved did not exist until 2008 and that the document properties of the corresponding PDF document revealed a creation date of 25 July 1999 are further indications of the incorrectness of the Examining Division's assumption and need no further discussion. 5.1.8 The Board can leave aside the question whether a URL to document D2 would have had to be "discoverable" at the priority date in order for document D2 to have been made available to the public through publication on the Internet. 5.3 The Board therefore considers that the evidence presented by the Examining Division is insufficient to conclude that document D2 was made publicly available before the priority date.